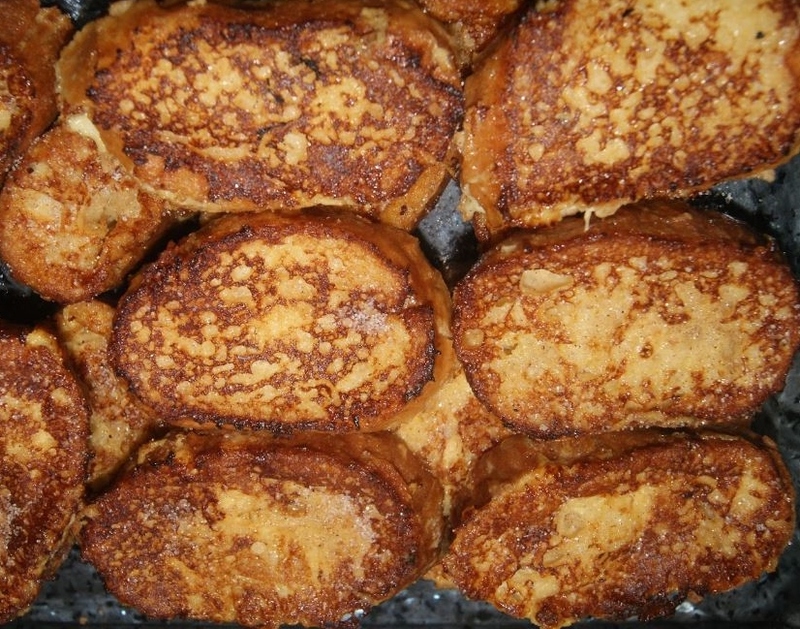 All Malagueños love Torrijas during Semana Santa and they are widely available in most cafes and bars as something to have with your coffee to re-charge your batteries for the long evenings and nights whilst watching the processions. The sugar content certainly gives one a “hit” and boosts your energy! I was given this recipe about 20 years ago by a lovely old lady who was a neighbour. She is sadly no longer with us, but I always think of her at this time of year as I get the pan out to make this very traditional dish. Place the litre of milk in a saucepan with the sugar, cinnamon stick and the lemon peel. Bring to the boil and simmer for 5 minutes. Then turn it off and set it to one side and allow to cool. When the milk has cooled add the glass of sweet Málaga wine. Meanwhile, cut the bread into slices (about 2 cms thick). Place the slices on a baking tray and pour the cool milk liquid all over them. leave them for a couple of hours so that they absorb all the milky liquid. Beat the eggs and after the bread has soaked for a couple of hours, pour (or brush) the beaten eggs onto the surface of the bread slices. 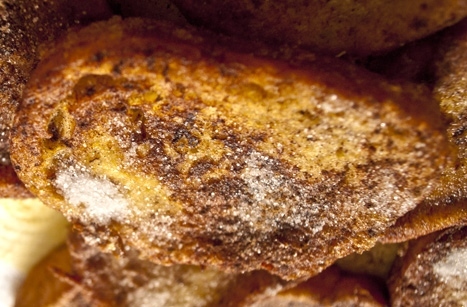 Heat a frying pan of olive oil and once the oil is very hot – fry the bread slices until golden brown. Drain and place on paper kitchen towel to absorb the excess oil. Sprinkle with powdered cinnamon and sugar whilst still hot and serve straight away. You can also drizzle with honey if you wish. 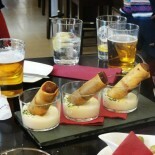 This entry was posted on March 15, 2016 by Tapas in Malaga in Citybreak Destination, Culture in Malaga, Málaga Recipes, Tapas, Torrijas, Uncategorized and tagged Andalucia, Guided Tours in Malaga, Holy Week, Malaga Shore Excursions, Málaga, Málaga Customs, Málaga Dishes, Málaga Traditions, Recipes óf Málaga, Semana Santa Málaga, Spain, Torrijas.